Click on the plat below to enlarge. Be aware that by default, Internet Explorer automatically resizes images too big to fit inside your browser window. This will result in loss of image quality. To change this option, click on and then select the tab. Find "Enable Automatic Image Resizing" under Multimedia, and unselect that box. Shirepeak is located in Kenton County off of Richardson Road which can be accessed by either KY 17 or Turkeyfoot Road. 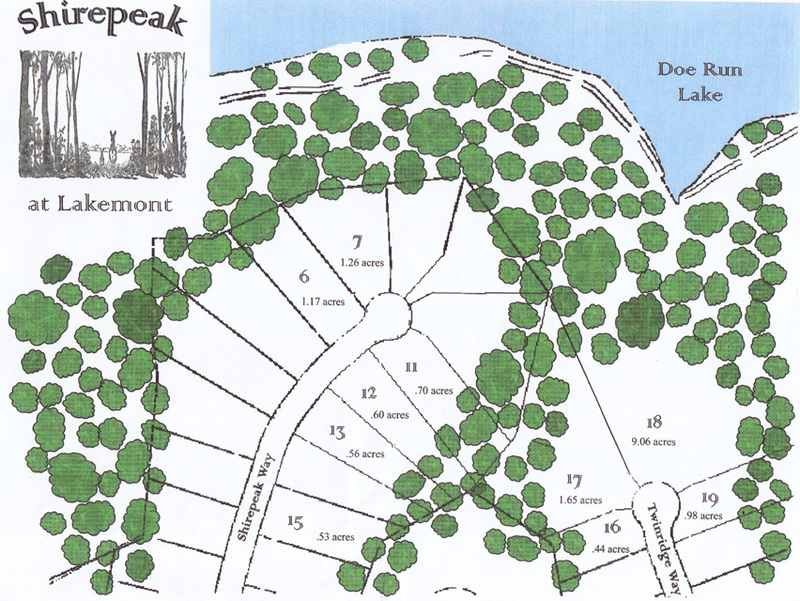 Shirepeak is accessed by entering the Sherbourne Subdivision at Lakemont. Shirepeak lots are located at the end of Shirepeak Way and overlook Doe Run Lake.